Hand tools are a great addition to any tool box. The tools from Zona tools are made from high quality materials that make any woodcutting or hobby much easier. 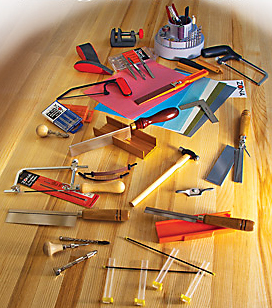 If you are a jeweler, our hobby tools are ideal for cutting small and precise pieces. Our small saws will be able to cut through soft metals, wood and plastics, giving you the perfect cut for your jewelry or hobby kit. Hobby tools are great for cutting small plastic parts and making tiny cuts into a hobby kit. If you are assembling a model plane, for example, our razor saws have the perfect sharp edge to get the job done. Many other saws are too big for projects like these. Some saws are small enough but don’t have as many teeth and therefore, are not sharp enough. The saws from Zona Tools have many small teeth on the blade to make a sharp cut without having to make multiple cuts with a traditional saw. Make your creative ideas come to live with Zona Tools blades and accessories. The amount that you can create is unlimited, and with great tools – your projects can be extraordinary! The jewelers saw has a comfortable handle and an adjustable frame to get as close as you need to for accurate sawing. Our other hand tools such as the hand saws and blades are perfect for woodworking and model building. These are also ideal for diy projects because they have sharp blades with wooden handles, which can give smooth edges to any material. They are perfect for cutting wood, metal and plastic. They are also 100% made in the USA, so you know you are getting good quality products made right here. 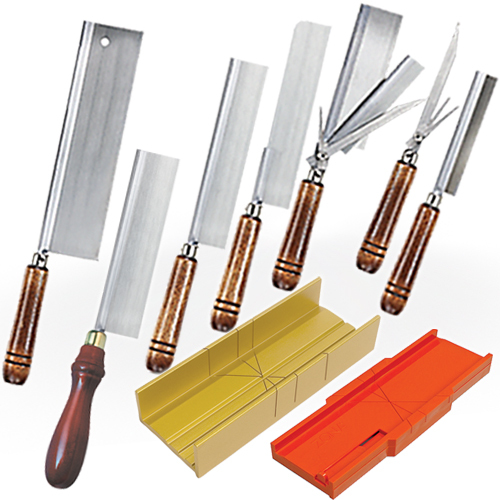 If you run out of blades, we also sell quality replacement blades for saw sets. These are perfect for gifts, or to have in bulk. They make ideal presents for anyone in the family. They are useful for many household projects and come in handy to have in your toolbox. So if you would like the perfect multi-tasking tools that last forever, contact Zona Tools today! Your satisfaction is Zona Tool’s top priority, and they are always there for their customers. For blades and tools made right here in the U.S., you cannot find quality elsewhere close to home! You can buy quality saws, blades and hobby tools and hand tools for any project that you are working on. They are ideal for hobbyists, jewelers and woodworkers. Your razor saw was featured this week on AmericanToolbox. I bought it from International Violin and it is exactly what I needed! Next, a narrow beak-shaped razor saw would be even more helpful. If your company wants to send out a few items – made in USA – they will make it onto the blog at some point. I’m always looking for content!